…but my son Robin did instead. And he took wonderful, soulful photos that he shared with me. 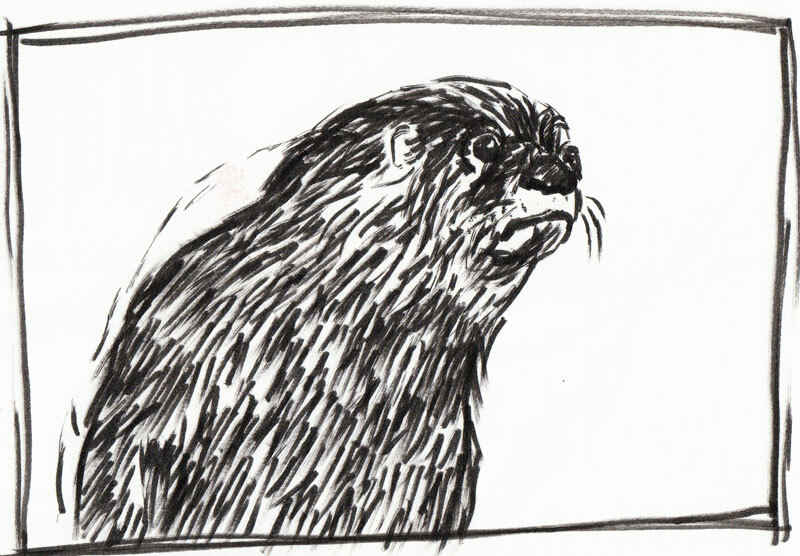 So of course I had to sketch them, starting with this otter whose expression really struck me. It came out a little different in each sketch. I finally threw away the Pigma Brush Pen I used for this sketch. The point seemed to fray on first use and only got worse. The Pitt Artist Brush Pens seem to hold up better. I think this one is my favorite either because of his expression (why am I assuming it’s a boy?) or because the drawing reminds me of a series of children’s books I used to read to my sons when they were little, about a little badger named Francis. I wonder what this cute little guy was thinking. Doesn’t this just call for a caption? What would it be? The top sketch gets my vote! I used to photograph and (try to!) sketch a cute otter at the zoo in Auckland, many years ago. How cute he is and the sketches are great too. Yes, the little guy needs a caption. What a sweet boy! That expression! I think he is saying something like, “Hey, where did everybody go?” or “Hmm, oh well, stuck at the zoo…again” All 3 sketches have their own little personality. Looks like a fun effort. I can’t think of a caption, but you’re becoming quite adept with the gouache. It seems to like you! Really nice job on the first sketch, though I like the others too. You are so right – this fella’s expression is priceless! Wonderful sketches, and I like that you tried several different approaches to it! 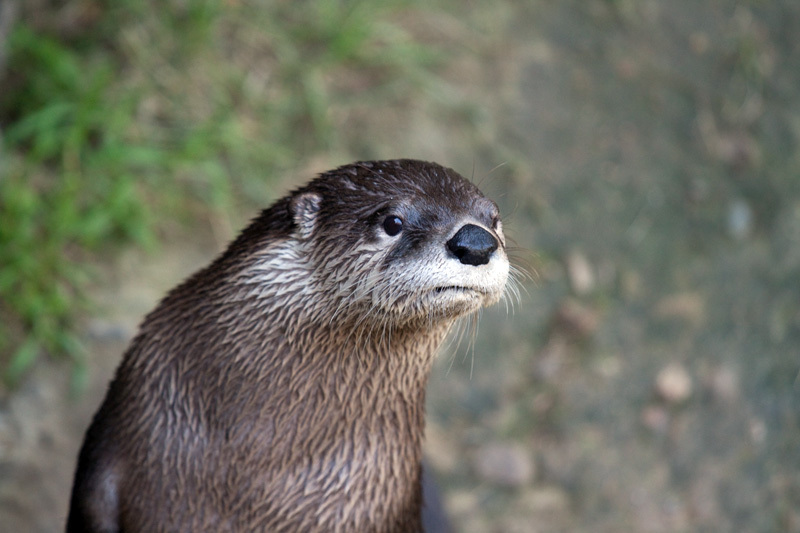 The expression on the otter’s face is similar to the one I had after waiting in line for two hours at the DMV, only to be told you’re missing a piece of paper, you’ll have to come back and try again. caption: “I’d rather be at the San Diego Zoo?” Reminds me that our zoo is now the first to go Google Map street view. I’m inspired to check out our otters. He is so cute! Love the sketches! The second is my favorite too. 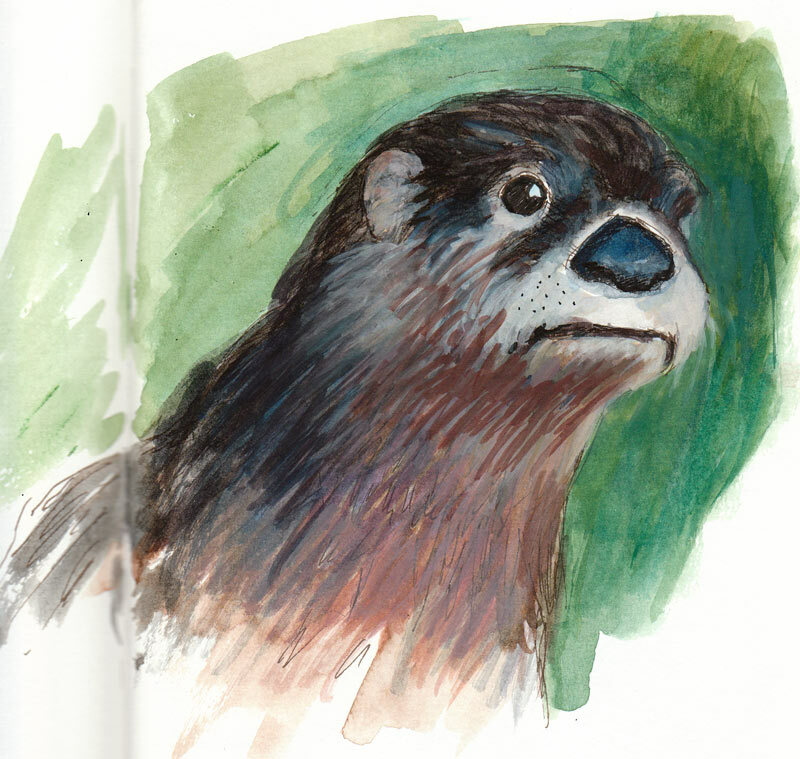 Love these adorable otter sketches, especially the first one! Awwww he’s so cute. 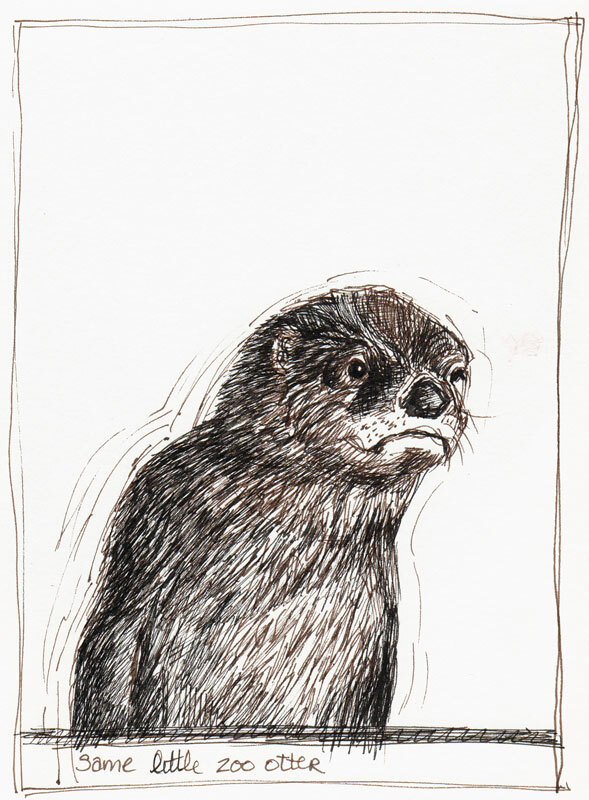 I really like “Perplexed Otter” he has so much character. They’re all beautiful pictures.